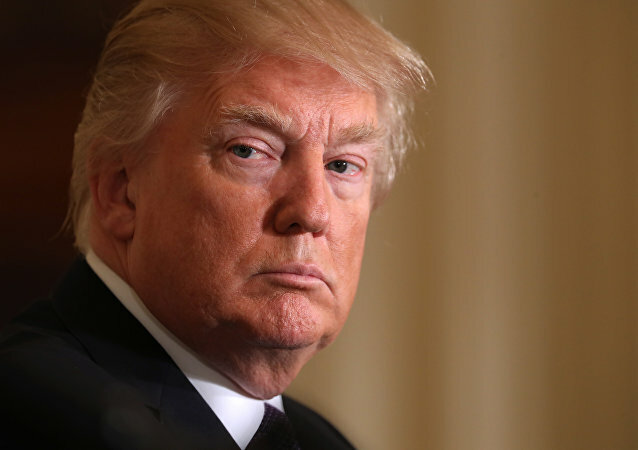 Picking up on suggestions increasingly made by pundits in the Western media, Beijing’s state-run English-language newspaper China Daily has begun referring to the United States as a “rogue nation” due to the actions and policies of its current administration. On Friday, April 13 campaigners from the Stop the War Coalition (STWC) have staged a protest outside the residence of the UK Prime Minister Theresa May, urging her to refrain from joining in any US-led strikes in Syria. 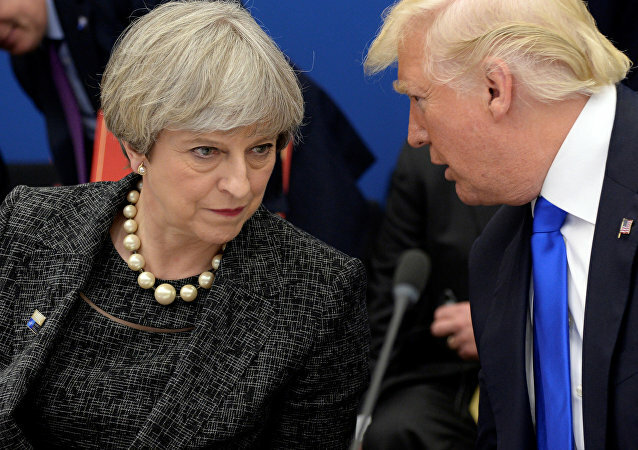 As the UK Prime Minister Theresa May summoned her Cabinet on April 12 to discuss military action against Syria, fewer than a quarter of Britons support the intervention. A plethora of reactions emerged on Twitter and Instagram to the news the UK Prime Minister is contemplating joining in any US-led strikes in response to an alleged chemical attack in Syria's Douma. 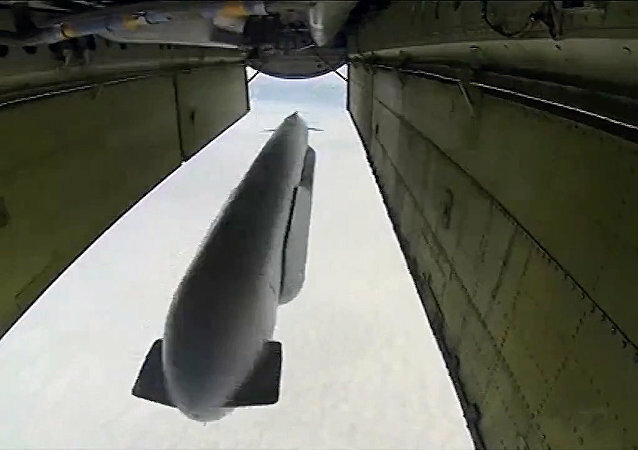 Russian submarines in the Mediterranean Sea unleashed Kalibr cruise missiles against Daesh (ISIL/ISIS) targets in Syria as Russian Defense Ministry chastised the US for supporting terrorist groups in the war-torn country. On Tuesday, the Russian Black Sea Fleet warship launched strikes with Kalibr cruise missiles on Daesh targets in Syria as part of an operation to free Deir ez-Zor. These missiles have been proving their effectiveness since releasing their destructive potential at terrorists in October 2015, a military expert, Victor Litovkin, told Radio Sputnik. 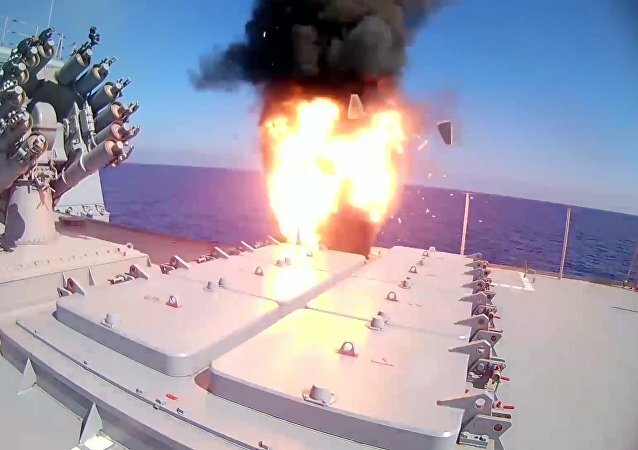 On Friday, Russian Defense Ministry revealed that Russian Navy warships and a submarine launched six Kalibr cruise missiles at Daesh targets in Syria. Military expert Dmitry Litovkin commented to Sputnik Radio on the launch, saying that every Kalibr is a costly "device" and that Russia must have used them on extremely significant targets. 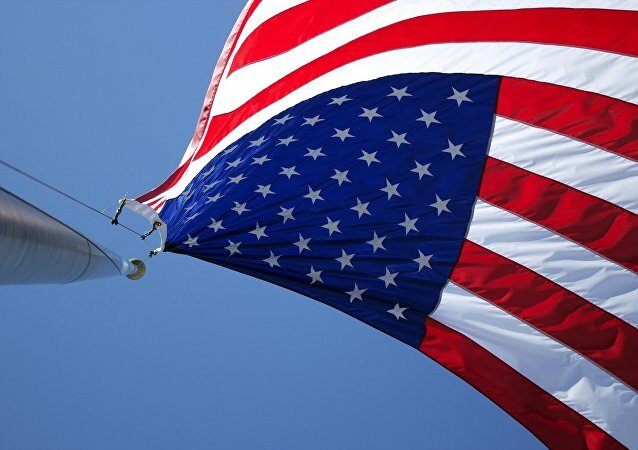 The United States currently has no troops near the city of Palmyra in Syria, Operation Inherent Resolve spokesperson Col. Ryan Dillon said in a briefing on Thursday. US Defense Secretary James Mattis arrived in Saudi Arabia Tuesday, the first stop on his five-country tour of the region, on the heels of National Security Advisor HR McMaster’s trip to Afghanistan and Pakistan. 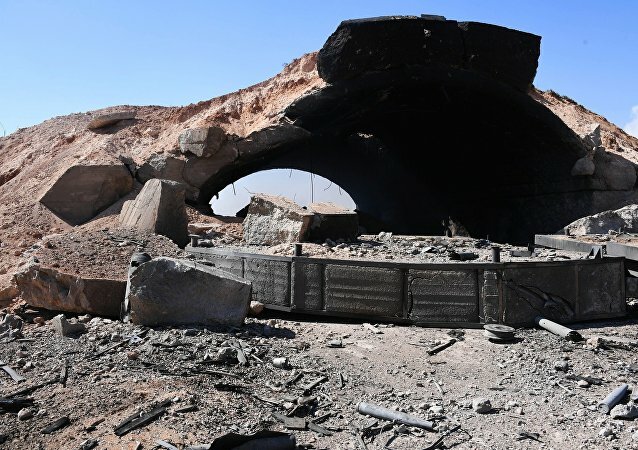 Earlier this week, the US launched a cruise missile strike at Syria's Ash Sha'irat airbase in Homs province, destroying six MiG-23 fighters and killing or wounding over a dozen soldiers and civilians. Speaking to Russian media, a resident of Ash Sha'irat, the small village situated near the base, shared his first-hand account of Thursday's events. Turkey considers the latest US missile strike on a military airfield in Syria a good thing, Turkish Deputy Prime Minister Numan Kurtulmus said Friday. NATO launched its new maritime operation in the Mediterranean with the announced purpose of increasing security amid the anti-terror fight. Meanwhile, the Russian Defense Ministry reported that its aircraft carrier group, also deployed in the area, was shadowed by a Dutch submarine after it became known that it was ready to strike Daesh in Syria. 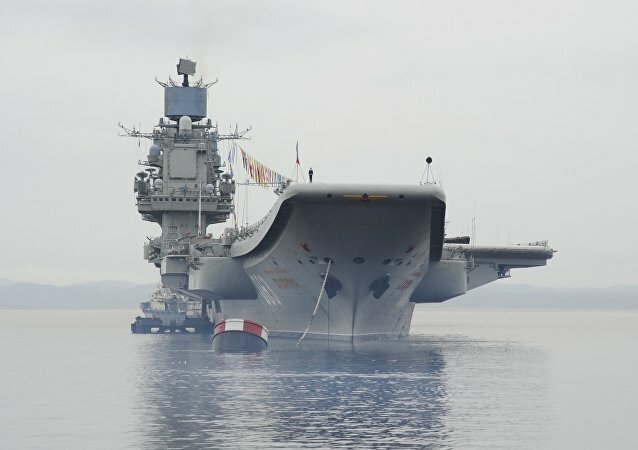 A source within Russia's Ministry of Defense told Gazeta.ru that the Navy's aircraft carrier group is ready to launch a strike targeting Daesh terrorists in the province of Aleppo in the next 24 hours. The attack, which will likely engage Kalibr cruise missiles, will target militants outside of Aleppo, and not the residential areas. Russian Defense Ministry released new videos of cruise missile strikes carried out against Islamic State forces in Syria. 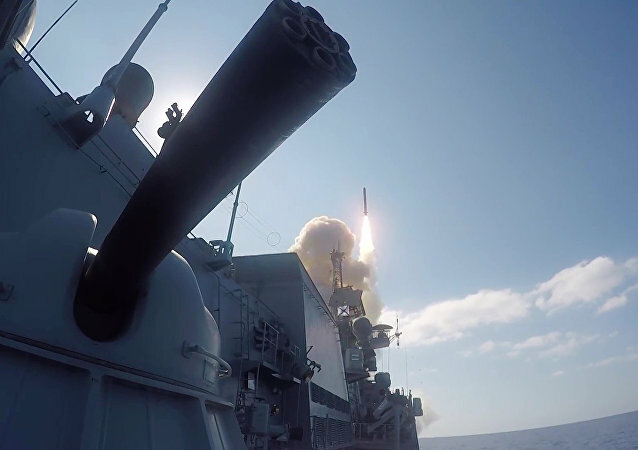 Mexican journalist Alfredo Jalife-Rahme believes that the success of the Caspian Flotilla's recent operation to attack ISIL targets in Syria with cruise missiles has demonstrated Russia's growing ability to challenge the US's global naval supremacy.